Are you renovating your home? Is there an old, dilapidated building on your property that needs to come down? Do you need to purge all of the clutter that’s taking up space? Whatever the project may be, if large amounts of debris or demolition is involved, contact Prestige Carting before you get started. As Long Island’s #1 dumpster rental, carting, and demolition company, Prestige Carting will help to ensure your project goes as smoothly as possible. If it feels like your house is quickly closing in on you, there’s two options: move or add an extension. Moving can be extremely stressful, not to mention expensive. If you like where you live but just need some more space to enjoy your home, why bother moving? Instead, consider improving. Here’s a look at five reasons why an adding to your home is a better idea than moving. Moving is a huge ordeal. You have to put your house up on the market and probably make some improvements before it will sell. And even if you do a total overhaul, it can still make a long time for someone to make an offer; and when they do, the offer may be much lower than what you’re asking. Then there’s the entire house hunting process, getting approved for a mortgage, closing, packing, and unpacking. By building an addition onto your existing home, you can avoid the hassles and headaches of moving. If you do decide to move, you have to consider how it’s going to affect your family. Sure, a bigger house might give you more space, but if you have children, they might have to change schools and start all over again, which can be super difficult. And it can be hard for you to adjust, too; your commute to work may be longer and it could take time to connect with your new neighbors, for example. If you add to your current home, you can avoid putting your family through major upheaval, which will definitely make everyone a lot happier. While you might be able to find a new house that offers the space you need, it might not meet all of your needs. It might be completely closed-off and you would prefer an open floor plan, or the layout might not work for your family. Sure, you can make changes, but you’ll tack the costs of those changes onto the price of a new home and you’re looking at some huge expenses. When you add to your existing home, you can create a design that really works for your family. You’ll work with a contractor and have a say in the layout and design. You’ll have the opportunity to build the kitchen or master bedroom of your dreams instead of having to just settle. Any improvements you make to your home will add to its value. The money you spend on an addition will be recouped in equity. That can translate to a pretty big chunk of change. Plus, an addition will increase the resale value of your home, which will definitely be worth your while if you ever do decide to sell in the future. If you include timeless features in your addition, like hardwood floors, granite countertops, and create a master suite, buyers will be more inclined to pay top dollar for your home. It might seem like building an addition will take a long time; however, when compared to how long it can take to sell a house and find a new one, it can actually save you a great deal of time. In fact, you and your family could be enjoying more space in your existing home in a fraction of the time it would take to sell it and buy a new one! If you need more space, moving isn’t the only solution; in fact, putting an addition on your current home may be a much better option for you and your family. 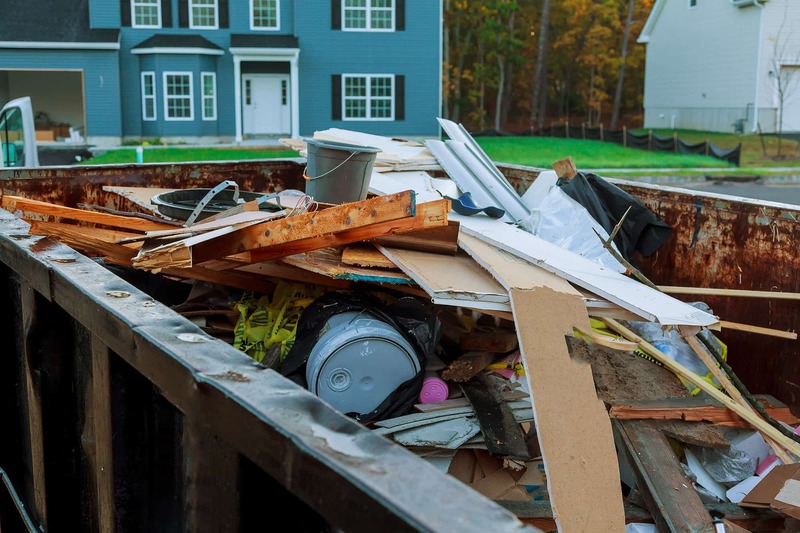 If you do decide to extend your house, make sure you plan ahead and hire a reputable demolition contractor to prepare the space and rent a dumpster to collect all of the construction debris. With Prestige Carting, you can get your demolition and dumpster rental needs from the same reliable company at an affordable price. Contact them today to find out how they can help to improve the success of your home addition.